Midway Auto Dealerships consists of three locations in a two block radius and is located in the heart of Central Nebraska in Kearney – Midway GM, Midway Chrysler and Midway Auto Outlet & Collision Center. Whether you’re interested in a new, used or certified pre-owned vehicle, you’ll find that at Midway. Browse our extensive selection of new and used vehicles, or speak to a member of our knowledgeable sales team to find the exact new Chrysler, Dodge, Jeep, Ram, Chevrolet, Buick, GMC, Cadillac or preowned vehicle you’ve been looking for. Midway Auto Outlet offers a full selection of used cars in Kearney to fit your needs. 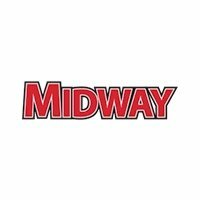 If you are looking for a massive new car inventory, competitive prices, friendly service and no-pressure sales, make Midway your next destination. Midway Auto Dealerships commitment to customer care means you receive a hassle-free buying experience – the lowest price on every vehicle, every day. When you buy hassle free, no negotiation is needed and you’ll have no buyer’s remorse with our 30 Day exchange privilege on all Midway Certified Vehicles. Finally, when you purchase a vehicle from Midway, you receive free car washes for life! Our non-commissioned sales staff works in no pressure situations so they can focus on you, the customer. Midway provides finance professionals with expertise to provide an easy car buying experience for customers. Midway will also offer you cash for your trade – we will buy, even if you don’t. Sales is not the only area where we excel. In fact, we have customers that travel from Grand Island, Hastings, Lexington, Holdrege and beyond to access our top-notch service department and collision center. Our service and collision centers are well-equipped with the latest technology and expert trained certified technicians. We are committed to customer service. If you need routine maintenance, body shop repairs in Kearney, or just a part, we have you covered. We want you to leave our dealerships 100% satisfied and return as a veteran Midway customer. We’re conveniently located in Kearney between Grand Island and North Platte, Nebraska. Midway Auto Dealerships offer complete automotive services and an unbeatable hassle free customer experience. Our mission at Midway is to make every customer a customer for life. We are looking forward to serving you. Reach out to us today online or by phone at (888) 270-1246.